Whenever someone asks a question related to modes for guitar, there are many who say that they are confused and have never been able to understand what modes for guitar actually are. I noticed that many mix positions of scales or patterns (marked as boxes in diagrams) with modes, which is completely wrong because modes are particular keys. So, this week, I will try to explain the most important facts about modes. 1. What are the modes for guitar? In the past, there weren't different keys (or tonalities) so the only way to make different tunes was to create melodies in different mode(s) of the Do-Re-Mi-Fa-So-La-Ti-Do scale; which means starting from different notes. Over time, the so-called major-minor system developed (which we use today), so we use them in the context of the major-minor system. And that's the reason why the best way to master modes for guitar is to learn each as a major or minor scale with certain alterations! 2. The best way to understand modes. So, as you can see, the notes are the same for all modes. But when we changed the order of notes, we actually changed the structure of the scale, as well as their functional relation to chords. Ionian W-W-H-W-W-W-H (W=whole step/two frets, and H=half step/one fret), the second mode has W-H-W-W-H-W-W and that is different from the first. 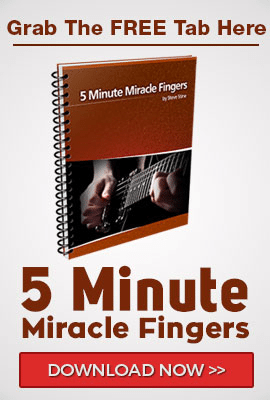 It’s actually the minor scale with a small difference – it has a raised half step VI note. Locrian is minor scale with IIb and Vb, and actually wasn't in use, it was only theoretical construction. 3. Harmonic sense of modes (chords). - bII in Phrygian causes the major chord as a II chord in minor key instead of diminished – which is known as a Neapolitan chord, and minor chord as a VII chord instead major. For a better understanding of the Lydian mode/key, try to play this chord progression: C, D, C and improvise using the C major scale with F# instead of the F note. For a better understanding of the Mixolydian mode/key, try to play this chord progression: C, Gm, C and improvise using the C major scale with Bb instead of B. For a better understanding of the Dorian mode/key, try to play this chord progression: Am, D, Am, D… and improvise using the Am scale with F# instead of F.
For a better understanding of the Phrygian mode/key, try to play this chord progression: Am, Bb, Am, Bb… and improvise using the Am scale with Bb instead of B. If you want to deepen your understanding of music, GuitarZoom offers top-notch music theory instruction in Music Theory Made Easy, Songfire and Just Enough Theory. Tune in next week for another installment of George's Corner.